Item # 308005 Stash Points: 3,595 (?) This is the number of points you get in The Zumiez Stash for purchasing this item. Stash points are redeemable for exclusive rewards only available to Zumiez Stash members. To redeem your points check out the rewards catalog on thestash.zumiez.com. 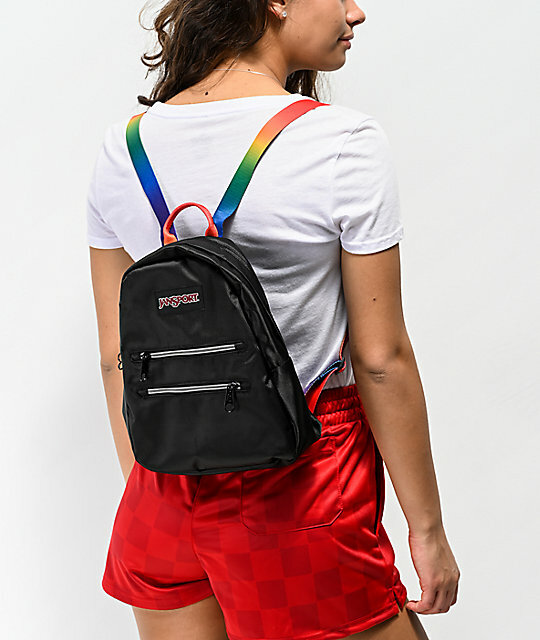 Adventure the world in compact style with the JanSport Half Pint 2 Black & Rainbow Mini Backpack. 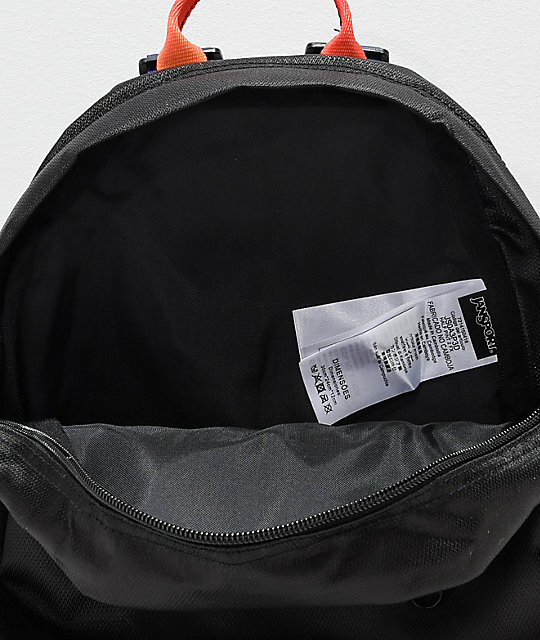 This mostly black pack features two front and one main compartment to maximize storage, while an additional back pocket with zip closure creates an additional concealed carrying space. 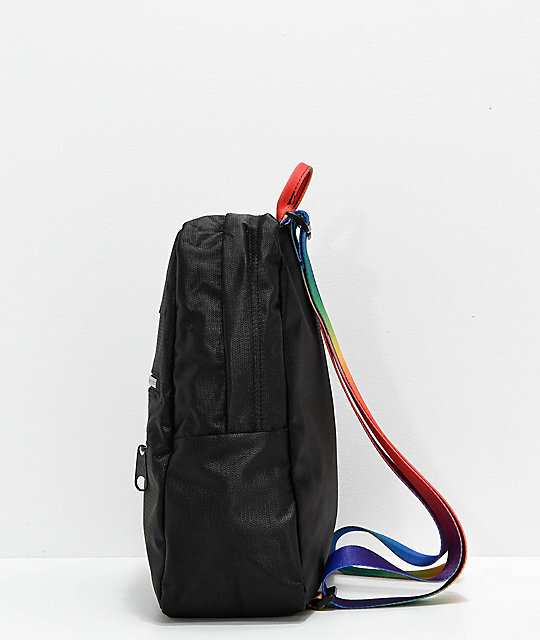 Finished off with rainbow colored shoulder straps and a matching top haul handle, this backpack has tons of original style. 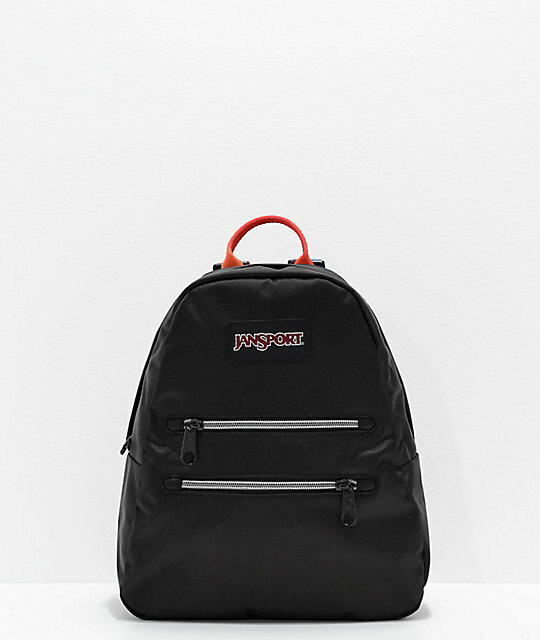 Half Pint 2 Black & Rainbow Mini Backpack from JanSport. 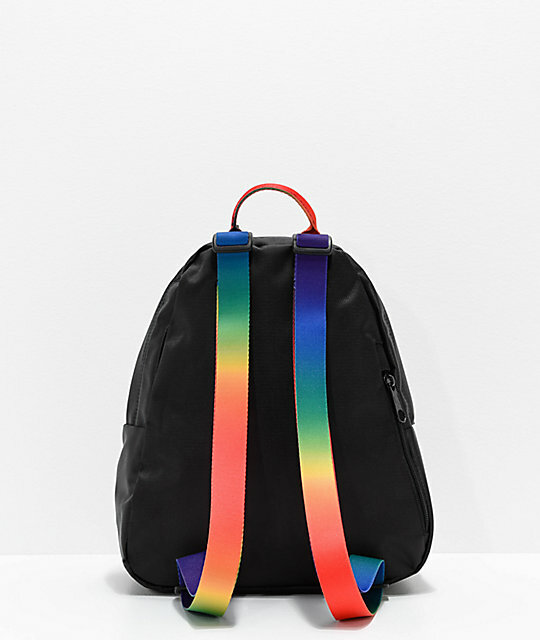 Black with rainbow shoulder straps. Two front zip pouch pockets with zip closure. Hidden back compartment with zip closure. Dimensions: 12.3" H x 10" W x 6.5" D | 31 x 25 x 16.5cm. Lifetime warranty on defects in craftsmanship by manufacturer.